The Bike for a perfect day. Ride farther using less of your energy. The light and simple Bianchi Manhattan is the perfect bike for your day-to-day errands. 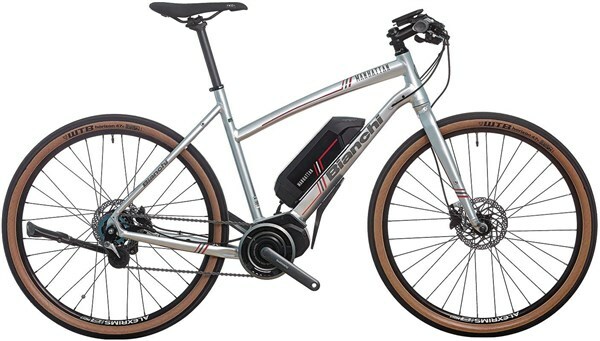 Thanks to the Shimano STePS E-6000 motor, that integrates the control unit around the bottom bracket, the center of gravity becomes lower giving you better control of the bike. The frame and components have an urban-sport style for a fast, yet relaxing bike fit, allowing you to go long distances with a consistently smooth pedal stroke. The Bianchi Manhattan represents the perfect balance between battery range, performance, lightness, and noise reduction.